TrustBank, a pillar of the local financial industry for over 100 years, is pleased to announce that Jon J. Racklin will be joining TrustBank as a Senior Trust Officer starting March 16, 2015. TrustBank plans to expand its existing services by offering complete wealth management, trust, and estate services to the local community. Jon will bring a well rounded skill set to the TrustBank team. 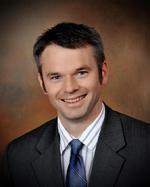 Jon has been practicing law with Clark & Racklin, Ltd. in Olney, Illinois since 2005. He graduated from the University of Illinois in 1999 with a Bachelor’s Degree in Finance. In 2005, Jon received a Juris Doctor Degree and a Master’s Degree in Business Administration with a concentration in Finance from the University of Illinois. While at the University of Illinois, Jon received the CALI Excellence for the Future Award in Estate Planning. Anyone that is interested in speaking to Jon about the services that TrustBank has to offer should contact TrustBank’s main branch at 618-395-4311 to arrange for an appointment.